This hardy Devil's Ivy kokedama has been formed around a length of copper pipe and Tasmanian oak, allowing it to hang within your home. There is a generous length of jute twine attached to either end of the oak to allow it to be suspended and this can be shortened as needed. 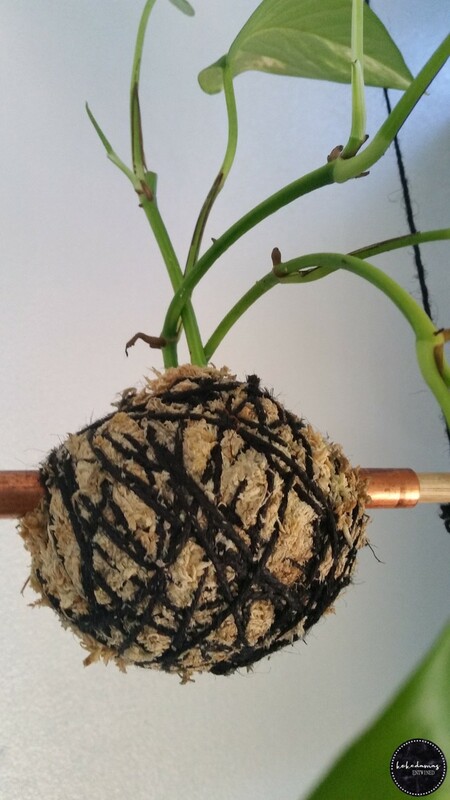 This method of hanging the kokedama has been well considered: the plant can be watered at its centre and the ball can be lightly misted without having to wet the oak or the twine, greatly reducing the chance of the breakdown of either of these materials as can be the case with the more traditionally made kokedamas which are hung with twine that is directly attached to the moss ball itself. The copper will develop a unique patina over time, such is the beauty of this metal. 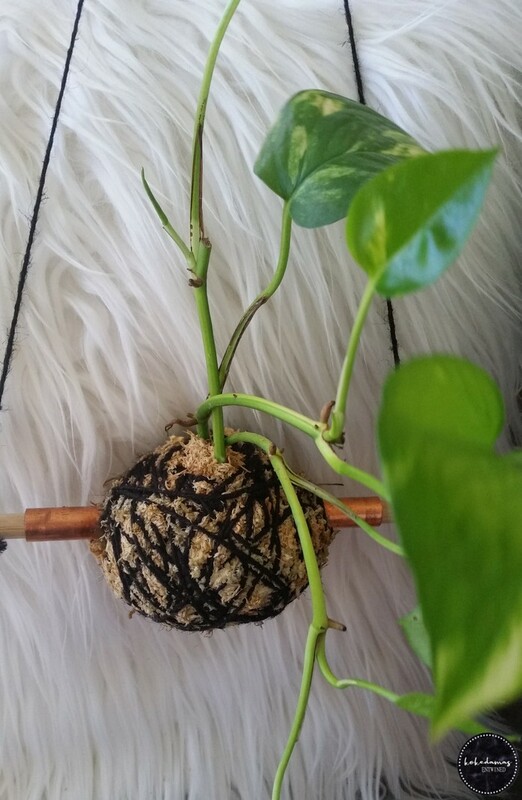 Along with the gorgeous hanging kokedama in this listing, you will also receive an information card with some tips on how to care for your kokedama. 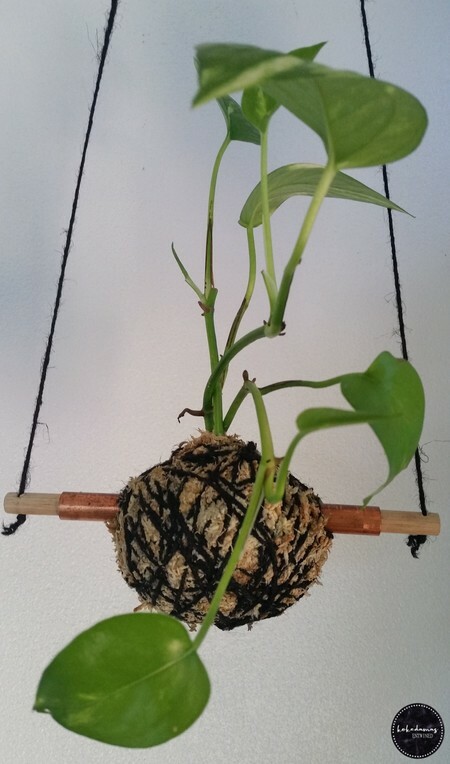 This kokedama also comes with a long length of black jute twine for hanging which can be shortened as needed. Pictures are better than words so please refer to the photos for the best description. The moss ball measures approx. 9-10cm both in height and width plus the addition of the height and trailing length of the plant which varies depending on plant type. As beautiful and natural as plants are, some can irritate eyes and skin and may even cause harm if swallowed so please be careful and bear this in mind. Devil's Ivy, while being incredibly hardy and even more beautiful, is toxic to cats and dogs. 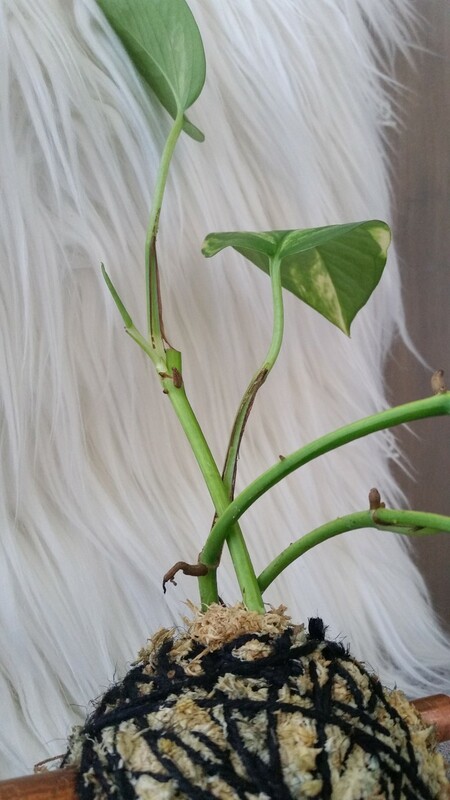 It goes without saying but I better say it anyway - props are for styling purposes only and are not included with the purchase of any kokedama!